Penelope Boston has been selected as the director of NASA's Astrobiology Institute (NAI), in Moffett Field, California, to lead the scientific activities of the institute's member teams and all operational aspects of the organization. Her appointment is effective May 31. "Dr. Boston is a leading astrobiologist and science explorer with a proven track record of leadership. I'm energized by her passion for NASA's mission to seek signs of life in the solar system and beyond," said John Grunsfeld, astronaut and associate administrator for the NASA Science Mission Directorate at the agency's headquarters in Washington. "It's an incredible time for all science, and especially astrobiology, as our current and future missions edge closer to answering the question: are we alone?" Boston will lead the NAI in fulfilling its mission to perform, support and catalyze collaborative interdisciplinary astrobiology research; train the next generation of astrobiologists; provide scientific and technical leadership for astrobiology space mission investigations; and develop new information technology approaches for collaborations among widely distributed investigators. "The search for life elsewhere in our solar system and beyond is one of the great intellectual enterprises of our species," said Boston. "The deeper understanding of the profound biodiversity and adaptability of life here on our own planet is part of the same continuum. I've devoted my career to these areas of science and I'm delighted to now contribute to the field in this new leadership capacity." Prior to joining NASA, Boston, in 2002, founded and directed the Cave and Karst Studies Program at New Mexico Tech, Socorro, New Mexico, where she also served as a professor and led their Earth and environmental sciences department as chair. She also served from 2002 to 2016 as associate director of the National Cave and Karst Research Institute, a congressionally mandated institute in Carlsbad, New Mexico. Boston holds Bachelor of Arts and Master of Science degrees and a Ph.D. from the University of Colorado Boulder. Boston replaces Carl Pilcher, former NAI director who retired in early 2013 after leading the institute for seven years before returning in August 2014 on a part-time basis to serve as interim director. In addition to leading and coordinating a scientific community of more than 1,000 members, Pilcher managed the administrative team at NAI's central office at NASA's Ames Research Center. "Carl's leadership and vision has enabled numerous multi-disciplinary collaborations, steering the institute to making great advances in astrobiology and our overall understanding of life in the universe," said Ames Research Center Director Eugene Tu. 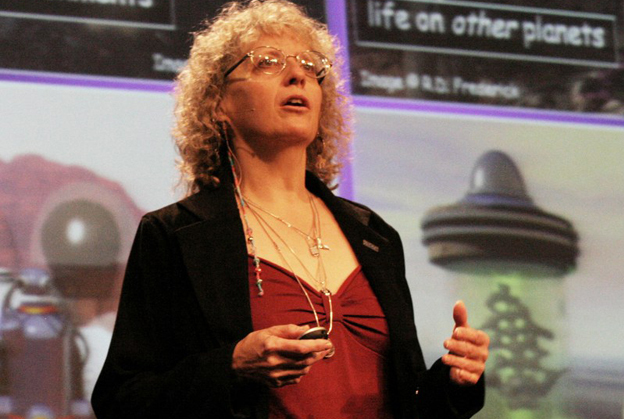 "Penny's leadership and creativity will be critical in connecting researchers throughout the world to further advance astrobiology, and in supporting future robotic and human space missions." Established in 1998 as part of NASA's Astrobiology Program, the NAI is a virtual, distributed organization of competitively-selected teams that conduct and integrate astrobiology research and training programs in concert with the national and international science communities. Headquartered in the heart of Silicon Valley, the institute has 12 teams including over 600 researchers distributed across more than 100 organizations and 13 international partner organizations. "The dazzling scope of astrobiology and exciting prospects for future life detection missions are inherently compelling," said Boston, "and I hope to make it ever more accessible to public audiences around the world. I'm eager to both honor the 18-year history of NAI begun under the leadership of Nobel Laureate Dr. Baruch Blumberg, and to help bring it into the next era of its development."